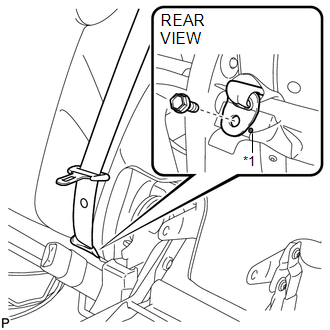 (a) Install the rear center seat outer belt assembly with the bolt and nut. 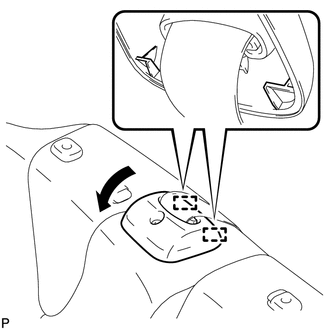 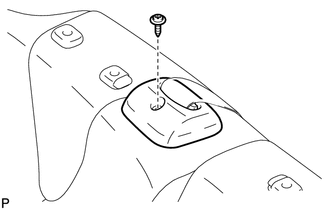 (a) Engage the 2 guides and claw, and install the rear seat shoulder cover as shown in the illustration. 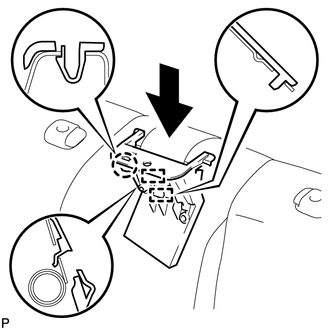 (c) Connect the rear seatback upper lock bezel with the screw. 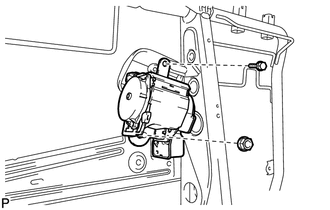 (a) Connect the rear center seat outer belt with the bolt.